According to many Catholic apologists, like Dr. Robert Sungenis,1 the dogma of the immaculate conception of Mary is not simply binding because it is a divinely revealed dogma, but according to them it is binding additionally because logically speaking without Mary being sinless Jesus could not accomplish the redemptive work in the first place. What exactly do they mean by this? The story goes like this, to save mankind Jesus had to be sinless. Therefore Mary had to be sinless to not pass on original sin. But then Protestant apologists just say "the grace could have been given directly to Jesus" or "why wasn't the grace given to the mother and father of Mary, or even further back?" QUESTION IN FORMAL FORM: Dogmatic obligations aside: Why was it necessary for the salvation plan to have specifically Mary the mother of Jesus be utterly without sin? 1. For example, in this video debate at 1:05:18 ("because if she isn't sinless, she's going to produce a sinful Savior") and 1:13:00. Was Mary's Immaculate Conception Absolutely Necessary for our Salvation? Our salvation was guarantied by Our lord Jesus Christ on the Cross. The Catholic Church believes that it was not absolutely or intrinsically necessary for the Blessed Virgin Mary to be sinless; only fitting or appropriate (God making the choice). Thus, even a dogmatic belief in the Immaculate Conception does not in any way impinge upon the Two Natures of Christ. We believe the Immaculate Conception happened, and are required to believe this, but we don't believe that it had to happen exactly as it did (in all possible worlds, etc. ), in order for God to be God. All the Immaculate Conception did was make Mary as Eve was before the Fall (precisely why the Church fathers often called her the Second Eve or New Eve): unfallen and sinless; not subject to original sin. As Cardinal Newman remarked: why is it considered such an extraordinary thing that God chose to simply make one person -- the Mother of God the Son, the Theotokos -- the way that all of us would have been, but for the Fall? And this is the great difference between Jesus and Mary: She required a special grace to preserve her from the stain of sin, but our Savior (by virtue of the Incarnation itself, and on account of his divinity) could not possibly have contracted the guilt or debt of original sin in any respect. While our Blessed Lady, even though Immaculately Conceived, required a Redeemer (namely, her own Son, Christ Jesus), the Lord did not have any need of a Redeemer. No special grace was required (beyond that of the Incarnation itself) to keep the Christ Child from original sin – he could not possibly have contracted it. In this sense, the dogma of the Immaculate Conception is seen to be fitting and true while (in itself) not absolutely necessary, but the sinlessness of the Lord Jesus is absolutely necessary and super-eminently fitting. God so prepares and endows those, whom He chooses for some particular office, that they are rendered capable of fulfilling it, according to 2 Cor. 3:6: "(Who) hath made us fit ministers of the New Testament." Now the Blessed Virgin was chosen by God to be His Mother. Therefore there can be no doubt that God, by His grace, made her worthy of that office. ... But she would not have been worthy to be the Mother of God, if she had ever sinned. First, because the honor of the parents reflects on the child, according to Prov. 17:6: "The glory of children are their fathers": and consequently, on the other hand, the Mother's shame would have reflected on her Son. Secondly, because of the singular affinity between her and Christ, who took flesh from her: and it is written (2 Cor. 6:15): "What concord hath Christ with Belial?" Thirdly, because of the singular manner in which the Son of God, who is the "Divine Wisdom" (1 Cor. 1:24) dwelt in her, not only in her soul but in her womb. And it is written (Wis. 1:4): "Wisdom will not enter into a malicious soul, nor dwell in a body subject to sins." We must therefore confess simply that the Blessed Virgin committed no actual sin, neither mortal nor venial; so that what is written (Cant 4:7) is fulfilled: "Thou art all fair, O my love, and there is not a spot in thee," etc. - Was the dogma of the Immaculate Conception formulated in response to someone challenging Mary's ability to bear a perfect Son? If God preserved Mary from all sin, He could have preserved Christ's body and soul likewise without the grace of Mary's Immaculate Conception. Was it necessary for God to make Mary immaculate at her conception so that she could be Jesus' mother? No. The Church only speaks of the Immaculate Conception as something that was "fitting," something that made Mary a "fit habitation" (i.e., suitable dwelling) for the Son of God, not something that was necessary. Can anyone show where in Pope Pius IX's Papal Encyclical Ineffabilis Deus that the Mary's Immaculate Conception was absolutely necessary for our salvation. You can not! Unless one can show evidence to the contrary, in Pope Pius IX's dogmatic definition of the Immaculate Conception that the Immaculate Conception of the Ever Virgin Mary was necessary for our salvation, the contrary is to be upheld. St. Thomas Aquinas in his Summa clearly states that it was Adam and not Eve that was responsible for the transition of original sin. Now if Mary, the Mother of Jesus is the New Eve and Jesus Christ is the New Adam, it is obvious that the Immaculate Conception was not necessary for our salvation for the Holy Spirit can operate in that dwelling place He so chooses to. It the Holy Spirit that made it possible for Christ to be free of original sin and not Mary, the New Eve. Her being immaculately conceived was not absolutely necessary for Christ's redemption of mankind, but one must at the very least not deny the dogma of the Immaculate Conception if he wishes to be saved. Christ could have made superabundant satisfaction for our sin with one drop of His Precious Blood, as St. Bernard said, so His passion was not necessary in the sense of "anything which of its nature cannot be otherwise" (Summa Theologica III q. 46 a. 1 "Whether it was necessary for Christ to suffer for the deliverance of the human race?" co.). Similarly with the Immaculate Conception: "for to her more grace was given than was necessary to conquer sin completely," as Bl. Pius IX wrote in Ineffabilis Deus. EDIT: That Mary was conceived free from sin, or rather possessing sanctifying grace, is not theoretically necessary for salvation to have been accomplished: non-rejection of it as part of the Faith is necessary for one to be said to hold the true Faith, the converse of which cannot save, being contrary to the Faith. Dr. Sungenis aside, as well as reasons for why it may or may not be necessary for a sinless Saviour, for the moment, the necessity or bindingness of this dogma, like all others, doesn't consist in the degree of importance it holds in and of itself, or with respect to the grand scheme of salvation history as a whole, but rather simply that it is true, like the other truths of the Faith, and so just as binding—not less. When the Church says that it is 'absolutely necessary for salvation that it is believed that,' it is simply stating not that belief in this truth 'saves,' or 'completes the list of things you have to acknowledge and believe about the Faith,' but that failure to adhere to what has been authoritatively defined as part of the true Faith, is heresy in every case. An example might help. The Church can rightly say it is 'absolutely necessary for salvation' to believe in the two wills of Christ. Yes, it's not as important as some other doctrines, and you can be saved without ever getting to the stage where such details become relevant to begin with, at least for some people, especially the more simple. But it's necessary in the same sense that belief in all the other truths of the Faith are: that it's true. Rejection of any part of the Faith is rejection of the Faith, period. Therefore, that Jesus wept could be made 'absolutely necessary for salvation' that you believe it—because it is true. It's also a clear way of stating the Church's official, authoritative stance on a doctrinal issue theretofore not stated with an equal dogmatic force; to express the gravity of belief in a definition is a great way of making it unequivocally the official statement on the belief of the Church. Hopefully that puts it into perspective a little. What is incontrovertable no matter how you look at it is this fact: Jesus would need saved from the inevitable contraction of original sin if it wasn't Mary who rather was saved in this way. The Saviour being Himself saved from sin obviously was never part of God's plan. That much everyone can agree upon. Christ is the new Adam. He is here to establish the New Creation. It's not 'illegal,' is it? to assume there could at least potentially be an 'Eve' to go with him? Well, Christians from the earliest times have seen in Mary a definite parallel between Mary and Eve in the exact same context of the parallel between Adam and Christ, citing some Scriptural types fulfilled in her; they could be enumerated at length. Given this, it stands to reason God didn't start out again with a sinless Adam and yet just another sinful Eve, but rather a sinless Eve to generate the sinless Adam, so that they would be the sinless "flesh of my flesh" duo to begin the New Creation. The Immaculate Conception is just the doctrine that God saved Mary so that there was no intervention needed at all to preserve Christ from contracting the sinful nature which would be passed on to Him (which 'miraculously preserving Him' would be—a kind of salvation). It's sublime. God saves Mary in an preminent way, the first markdely "made graceful" since Eve, so that she can simply give birth to a true Son, born with a grace-filled human nature without any intervention. It makes Jesus her true Son—"flesh of my flesh," "of the seed of David." 'Planting' someone not from her own flesh would not make her "the mother of my Lord," and "the fruit of [her] womb" in any true sense, but a false sense. This is false, because whereas God needs only to save Mary from contracting sin, He doesn't need to save her parents from this for His purposes, because their dignity does not require that they deserve a freedom from the whole association with original sin: but Christ most certainly does. God grabbed Mary out of the line of inevitable contractions of original sin so that Jesus wouldn't be that one 'grabbed' out and 'saved.' If we can rightly call Mary 'saved' because of this preservation from the contraction of original sin—and we most certainly and and do—then in order for the same not to be said of Jesus, we must of necessity hold the Immaculate Conception of Mary, or concede that we believe Jesus is not a true descendant of David or Mary, but was rather planted in a surrogate of no true relation to Himself; whereas we know this to be false from Scripture. Immaculate Conception - Why was it NECESSARY for our Salvation? Immaculate soul originates from God, Mary was given a pure soul endowed with singular privelege and many gifts for a Divine purpose destined to Her role of Divine Motherhood and Spiritual Motherhood of all the redeemed. The giving of "immaculate soul" pose no problem as it is a dogma of the Church contemplated by Blessed Duns Scotus. But for a body to received an "immaculate soul" it must also be freed not only from "original sin" but also from it's "concupiscence" as the scriptures teaches "nothing defiled shall enter the presence of God/Kingdom". How to produce an "immaculate body" a flesh & blood free from original sin and concupiscence, in this area God need the cooperation of man in the parents of Mary. St. Joachim and St.Anne was both pious and being baptized means the original sin was removed from them, but not the "stain of sin" or the inclination to sin with we called "concupiscence". Can St.Joachim & St.Anne master the original justice lost by Adam & Eve and overcome concupiscense of the flesh, meaning "lustful inclinations"? The Council of Trent says: propagatione, non imitatione transfusum omnibus. D 790. In the baptism of children that is expurgated which they have incurred through generation. D 791. As original sin is a peccatum naturae, it is transmitted in the same way as human nature, through the natural act of generation. Although according to its origin, it is a single sin (D 790) that is the sin of the head of the race alone (the sin of Eve is not the cause of original sin) it is multiplied over and over again through natural generation whenever a child of Adam enters existence. In each act of generation human nature is communicated in a condition deprived of grace. The chief cause (causa efficiens principalis) of original sin is the sin of Adam alone. The instrumental cause (causa efficiens instrumentalis) is the natural act of generation, which gives rise to the connection of the individual human being with the head of the race. The actual concupiscence associated with the act of generation, the sexual pleasure (libido) is, contrary to the view of St. Augustine (De nuptiis et concup. I 23, 25; 24, 27), neither the cause nor the inescapable condition for the reproduction of original sin. It is only an accompanying phenomenon of the act of generation, which in itself alone is the instrumental cause of the transmission of original sin. Cf. S. th. 1 II 82, 4 ad 3. The Council of Trent defined that the "concupiscence" is only an accompanying phenomenon which is the instrumental cause of the transmission of original sin. St.Joachim and St.Anne vow of chastity & purity eliminated "concupiscence" in the procreation act, plus the "Disobedience" of Adam was overcome by St.Joachim by doing the procreative act in "OBEDIENCE TO GOD'S WILL" as shown in the narrative link of the life of St.Joachim and St.Anne. It's a long beautiful narration highlighted by the visit of St.Gabriel in delivering the message of God to St.Joachim. "After God had created Mary’s "immaculate soul", He showed it to the choirs of angels in Heaven, and they felt intense joy upon seeing its unique beauty. “The Life of Mary as Seen by the Mystics” compiled by Raphael Brown: An Account of the Nativity of the Blessed Virgin Mary. We can see that from the conception of St.Anne it overcame the passage from Psalm 50:7 that is the basis of St.Augustine that is proclaimed in the dogma on original sin declared by the Council of Trent. This beautiful pious life of St.Joachim & St.Anne contributed in producing an offspring well-disposed "immaculate body" to received the gift of "immaculate soul" endowed with singular privelege and many gifts. All of this things are the working of Divine Providence. As we can see from this introduction of the article"
“It is a truth that I was "conceived without Original Sin and not in sin". A golden hour was my conception. My Son joined my father and my mother in a marriage of such "chastity" that a "purer union" has never been seen. Sensuality was extinguished in them. Thus my "flesh" was formed through divine charity. Note: See closely the wording on St.Bridget revelation "chastity, purer union, and sensuality was extinguished in them" meaning "concupiscence was absent thus an "immaculate flesh" was produce. In, closing St.Joachim & St.Anne life of purity and chastity merited God's grace to overcome "concupiscence" of the flesh and by "OBEDIENCE" in following God's Will in doing the "procreation act" which thru Archangel Gabriel delivered messages God's Divine Plan was accomplished. So back to your question, is "Immaculate Concepcion" necessary? The answer is, it is necessary primarily because it is the "Divine Will" and the Divine Will govern all things towards the salvation of man. Why was it necessary for Mary to be immaculately conceived (IC); that is, without sin? As a Christian, my answer is no and I could discuss this elsewhere. But this post is to answer the question from the Catholic POV. Its official answer is yes. This is the why. To be sure, as shown in some the answers already, there are some Catholics who suppose the answer to be no. But so far there is no official commentary like I hope to provide. In the dogmatic statement, the Pope outlines at least three reasons why for the necessity. It was always the eternal plan of God. It was prophesied by God. It was the only way to be free from inherited original sin. God had a mother in mind from the beginning. What kind of mother; would she be a fallen person like the rest of us or not? She would be different. It was necessary in order for her to triumph over the serpent. This is also from the dogmatic statement. So we see it was prophesied as necessary. Therefore it was necessary. It could not have happened in any other way. God does not lie. This too is a reason why. So now we know two reasons why it was absolutely necessary and planned from before time began. To take a negative tack, if it was unnecessary for her IC, then her triumph prophesied in God’s Word, has no meaning. 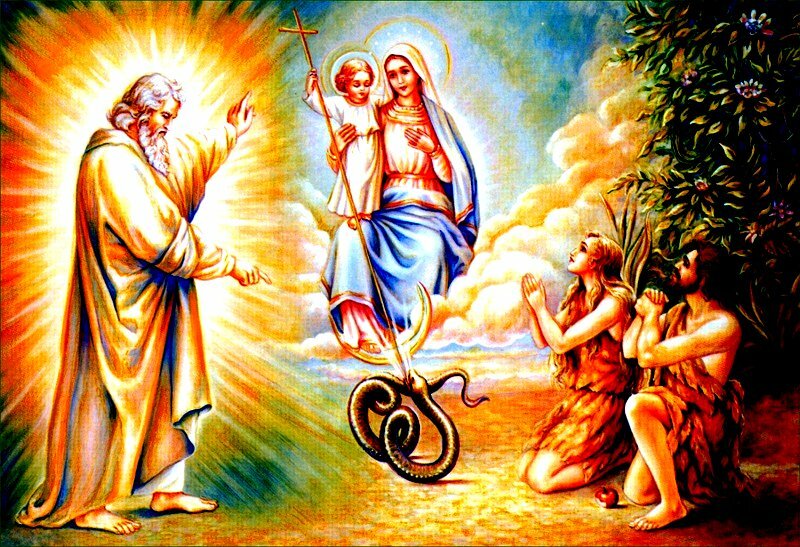 For Mary to triumph over the serpent, IC says she had to be free of the taint of original sin. There is no other way; it was absolutely necessary. It was necessary to avoid any sort of hereditary taint from her parents. This of course is not to castigate her parents, but as all other parents, we are born in sin, in a fallen state. So, we find the official Catholic dogma of the reason for why the necessity of IC. For those who still cling to their doubt in their dogma’s necessity or the reasons why, we can make their IC dogma even more clear if we take a brief side detour and skim the Catholic conception of original sin. It believes original sin is transmitted via the parents (plural). So, in Christ’s case, we have one half of the pure Spirit, but without the other half of a pure mother, sin would still get transmitted from parent(s) to child. Catholics thus decided Mary had to be also pure. This too necessitates the IC and tells us the reason why. So again, had Mary not been necessarily exempted due to IC, she would have been infected by original sin and thus bore Christ “infected by original sin”. So now we know the answer why and whether it was absolutely necessary for Mary to be immaculately conceived from the Catholic POV and its dogma. The answer is yes and we know at least three reasons for why. It was necessary for Mary to be immaculately conceived in the plan of salvation because without that GRACE Jesus would either have been sinful or have been in debt. I will now expound on this answer. This means that Jesus would contract Original Sin, because although he is God he is also human, and all of his humanity comes from Mary and no where else. God is not a cheater, he cannot somehow overcharge his human nature with a divine nature, they must be distinct, trully human and trully divine. He cannot negate Original Sin without a grace, because he inherited the human nature like all humans after Adam, neither did he create his human nature at the moment of his virginal conception for it is written "the Woman shall conceive"(Isaiah 7:14). Many Protestants see a valid point here, but in actuality it is much more complicated than it may seem. If the grace was applied to Jesus, it would mean that the God-man needed grace in other words needed to loan to buy us out of captivity. Just reading that should make lights go off. Jesus could not have saved us if he also needed to save himself, being in debt from birth like all of us. 60 On hearing it, many of his disciples said, “This is a hard teaching. Who can accept it?” 61 Aware that his disciples were grumbling about this, Jesus said to them, “Does this offend you? 62 Then what if(hypothetical, he is not bound) you see the Son of Man ascend to where he was before! In theory this could work, but it would be asymetrical and unecessary. Asymetrical because the image of old Adam/old Eve vs New Adam/New Eve is lost. Unecessary because the grace could just have been given to Mary. Not to mention that the parents, however many in the past, would have to remain sinless from day one til last day to make it worth it in the first place, which is improbable. To the skeptics, if you believe this argument is weak I invite you to consider the relentless symetry applied by God in the crucifixion. Jesus could perhaps have saved us by being stoned to death, but if that was the case we wouldn't be able to compare the Tree of Life with the Wooden Cross and the fruit of life with the precious flesh and blood we all eat every sunday. That is just scrapping the surface of symbology employed by God, it is all over the Bible and exists even on a cosmic level, Jonathan Pageau, an Eastern Orthodox, and his "symbolic world" may be of help. Therefore this explanation is ad hoc and should be discarded, Ockham's Razor and everything. This is the most intelligent solution. Minimal risk of the immaculate to waste the loan, Christ is free of charge, and everything is harmonized with a New Eve and a New Adam distinct from the general populace yet remaining fully human to save the humans. Well [does the Gospel say]: married but a virgin; because she is the type of the Church, which is also married but remains immaculate.. The Virgin [Church] conceived us by the Holy Spirit and, as a virgin, gave birth to us without pain. And perhaps this is why holy Mary, married to one man [Joseph], is made fruitful by another [the Holy Spirit], to show that the individual churches are filled with the Spirit and with grace, even as they are united to the person of a temporal priest. ☩ St. Ambrose, master of St. Augustine the "Doctor of Grace"
28 And he came to her and said, “Hail, full of grace, the Lord is with you!” 29 But she was greatly troubled at the saying, and considered in her mind what sort of greeting this might be. 30 And the angel said to her, “Do not be afraid, Mary, for you have found favor with God. 24 Now to him who is able to keep you from falling and to present you without blemish before the presence of his glory with rejoicing, 25 to the only God, our Savior through Jesus Christ our Lord, be glory, majesty, dominion, and authority, before all time and now and for ever. Amen. DISCLAIMER: This is not a case for the 'absolute' necessity of the Marian dogma, this is a case for the logical necessity of the Marian dogma. There is a difference between God choosing foundational laws(laws of nature, etc) and God building upon those laws. We are existing in the framework God himself established in eternity. In other words, there are fundamentally different possible worlds in which we are saved without Mary's immaculate conception, but there are not possible words in which we are saved without the Marian dogma if the fundamental laws remain the same and that's a killer point. Within the system we live in which God established to demonstrate his justice and mercy most magnificently and most satisfyingly the Marian dogma is necessary not only for its profound goodness and beauty but also for its logical necessity as God is not a liar nor a cheater, he will not negate his own foundational logic. Not the answer you're looking for? 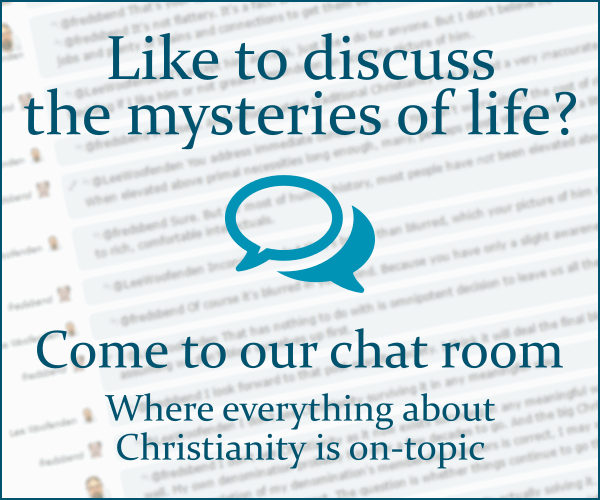 Browse other questions tagged catholicism soteriology virgin-mary original-sin immaculate-conception or ask your own question. What is the Protestant argument against Immaculate Conception?